BOOK: Just how long can a publisher hang on to your book without letting you know if they want to publish it? I guess a long wait is not promising, eh? LIFE: Cheese with that Whine? Mom and I have hurts and aches and were complaining. One of us noticed that we were doing that all the time, which made it endless whining. My thought was that we were allowed to complain on the hour. I would take even numbers and she would take odd. Since it was just after 12 noon I was to go first. “You mean I have to wait an hour?” she whined. So much for that plan. 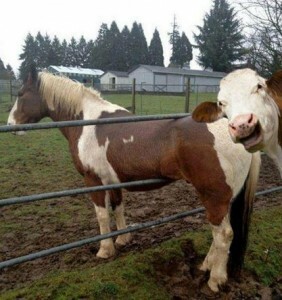 Remember, no matter how bad your day is going, at least you’re not stuck in a fence being laughed at by a cow. 19. Find someone/something to give you are reason to – live. For me this was my grandchildren. I would be all depressed and gloomy and suffering and then I went to visit them for the day. I played like small children, enjoyed their joy of life and the funny way they do things, read books, played board games or just played Lego. By the end of the day, I had a good recharge of happy and it helped me through the dark days. For some time, they were the only brightness in my life and thank goodness for them. You may have a hobby, do good works, run, garden, etc. Anything that takes you out of yourself and is enjoyable is well worth doing. It’s like breathing fresh, clean air when you come out of a dark cave.